*As APC fears removing Ortom from Power before elections only way to win the state. *Speaker, others vow to ‘die’ with Ortom, Benue People. The War to get Ortom out of power before the 2019 elections seemed to be getting more interesting by the day as the APC led by a Senator from the state who days ago claimed all the killings by herdsmen in the state were caused or is it done by the Benue state governor has again reached out to the Benue state House of Assembly members with 100 Million Naira each and mouthwatering PINE contracts to impeach governor Ortom. The Mouth water Bonanzer which was conveyed to the speaker by the said APC Senator and his gubernatorial aspirant in the state were totally rebuffed by the Speaker and his caucus who were said to have vowed to sink or die with the Benue People and their Governor over the issue of herdsmen and their killings as epitomized by the enacting of the Open Grazing laws that the Senator and his ‘Ogas’ on the top are bent on abrogating. The Speaker and the House caucus were said to have not only lambast the APC visitors but told them bluntly that the anti-grazing Law was a collective product of the House and Benue People which was only signed to Law by Ortom to fulfill the wishes of the Benue People rather than the sole work of Ortom. Daily Watch Sources has it that the Senator and the APC hurriedly beat a retreat after their experiences with the Assembly caucus but not with the intent of surrounding their plot which is seen as a battle for 2019 as the APC is said to have realized the futility of wining anything in Benue with Ortom on the seat as the People see him as their canopy over the Fulani herders assaults and killings in the State over the past two years. Already the Senator and his groups are said to be planning to reach out to the Assembly embers individually as against through the speaker that proved fatal with the sole aim of getting some five to ten members and use the so called Minority to impeach the Speaker and the Governor with Military and Police Protection as was plotted in Akwa Ibom but failed. 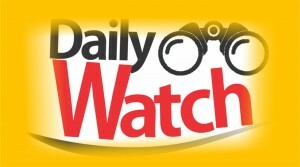 Daily Watch findings has it that the Speaker has reported his encounter to the Governor and the PDP hierarchy who too are said to be reaching out to all the members of the house to be firm in their resolve to back the governor and the Benue people than becoming a supporter of those against the Open grazing laws. Daily watch spoke to the spokesperson of the Governor on this renewed plot against the State governor but he refuses to confirm or deny the story but rather told Daily Watch that every plot, supra plots or combined plots against the Benue People and their interest most especially as regards the anti-grazing laws is bound to fail woefully as God would never allow evil, darkness over good and light.